Hi all, I know it’s been awhile since I wrote for the blog and I’m sorry for being a lazy bonehead 🙂 , but today I finally found some free time to share a nice custom project with you guys. 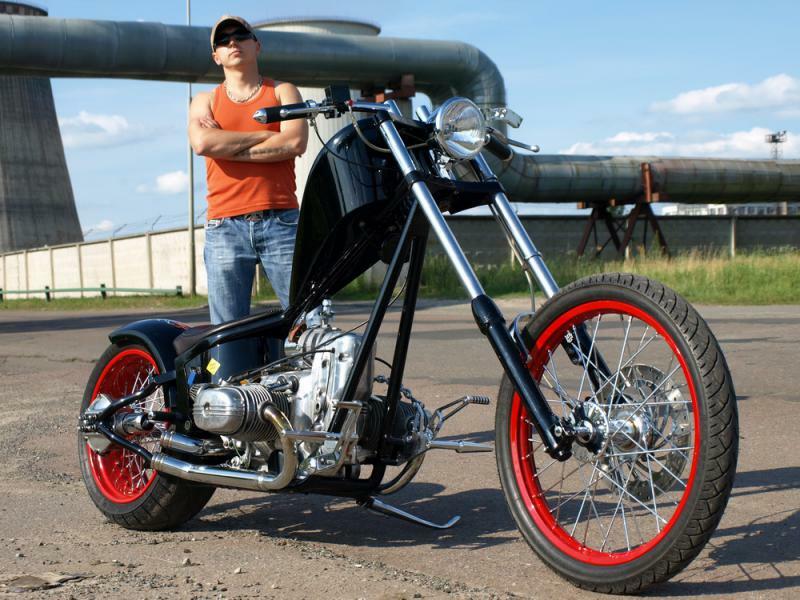 I’m talking about an elegant old-school chopper built from a Ural motorcycle. Please meet the CoolDrug, a creation of a highly talented fellow from Kyiv – the Dozer. I’ve already reviewed his projects before – the Skull and the Ural Fashion. The Dozer and the guys he works with have lots of custom projects, you can check them here. 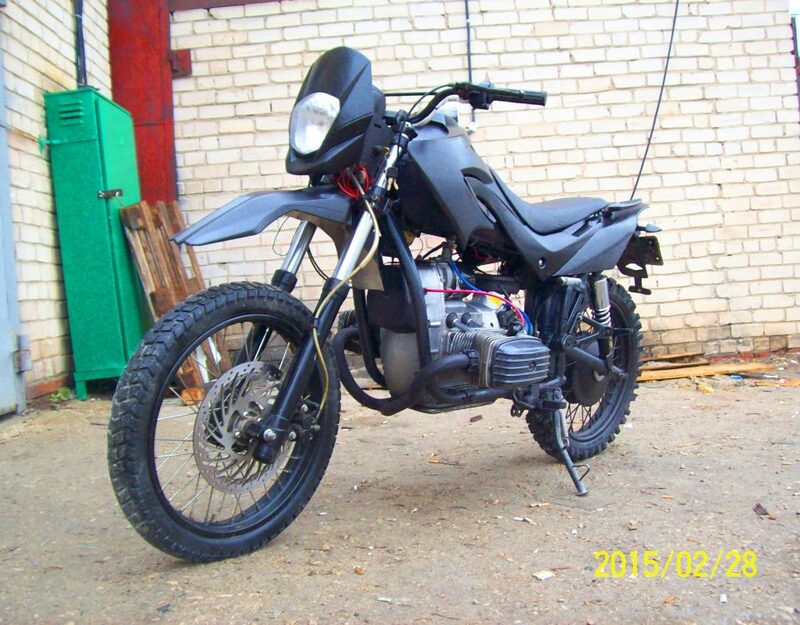 The customs these guys build are not cheap, so it’s no wonder they usually work with more popular motorcycles than cossack bikes. Anyway, let’s get back to the CoolDrug. 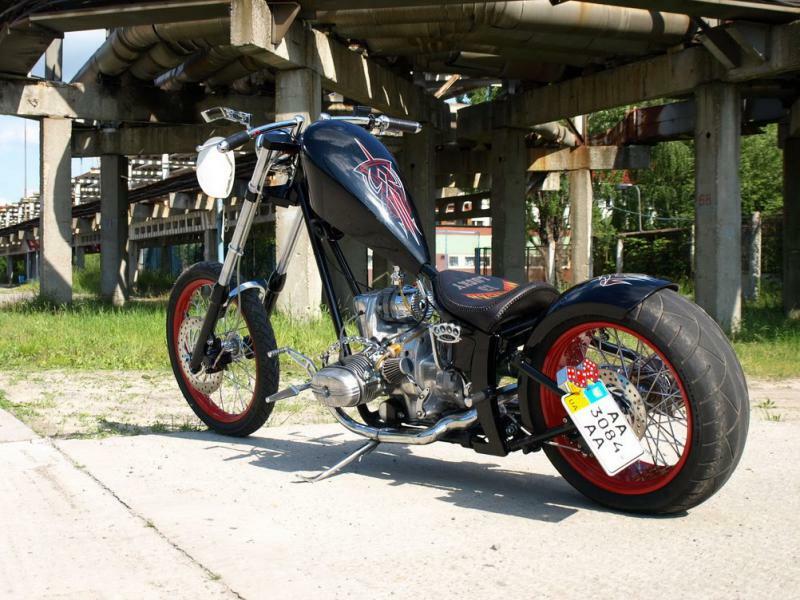 As you can see, this custom bike has a classic old-school chopper style with a long fork and a gas tank set pretty high. I once rode a Dnipro MT with a similar geometry and while it might look pretty unusual, such a bike is pretty easily controlled. You just need to get used to such a geometry. 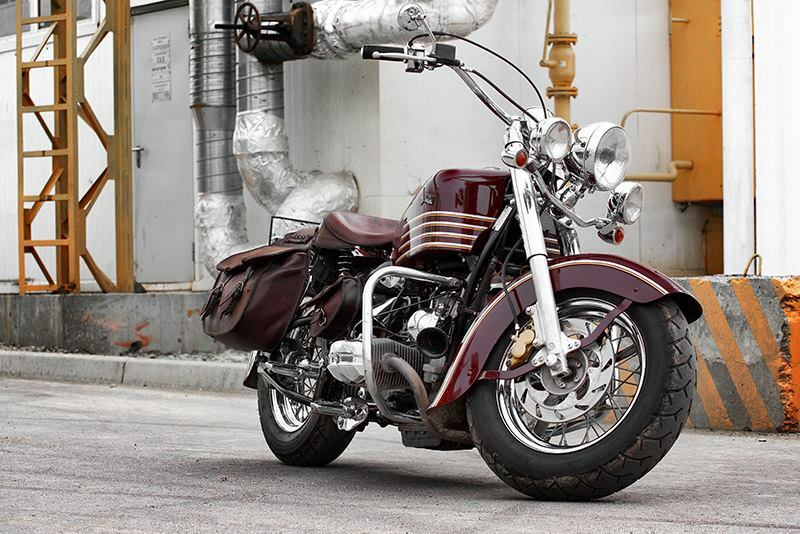 The gas tank was custom-made for this particular project, as for the fork – it was taken from an Izh Yunker. The heart of this build is a Ural engine combined with a Dnipro MT gearbox, which is way better than any gearbox ever produced by Ural. Though it might look like a hardtail frame, in fact it’s a softtail one with a hidden shock absorber from Harley Davidson. 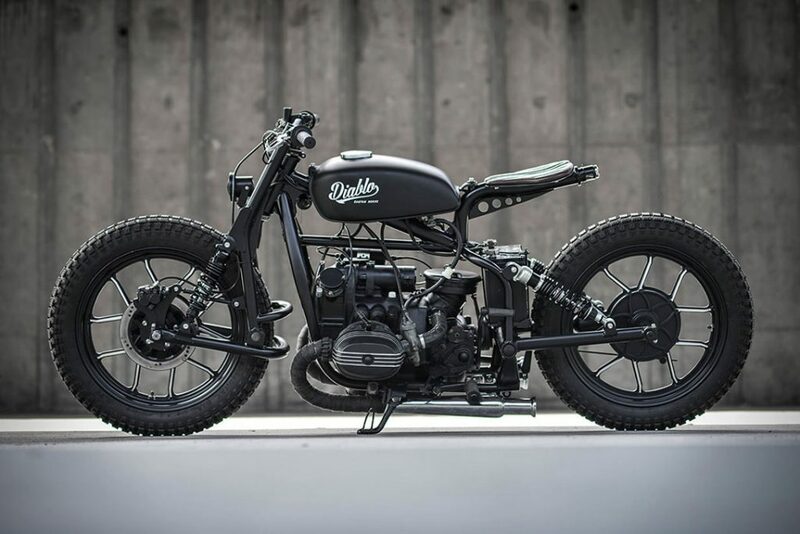 The frame might have been taken from a Ural motorcycle and modified, but the chances are they simply created a new one from scratch. There is one important element I’d like to draw your attention to – the foot pegs were moved forward. Otherwise, if the pegs were left on their standard places under the driver, the bike would be highly inconvenient to ride. 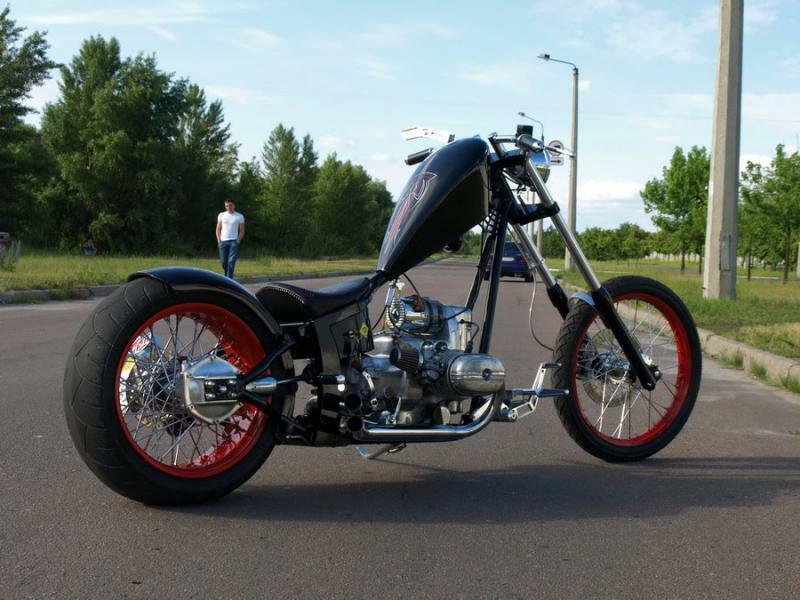 Most other parts were custom-made by the Dozer Garage team starting from the wheels, which are R21 with 90mm width and R17 with 210mm width, and ending with a rear fender and taillight. This is what I love the most about the works of these guys – their attention to details. Even the grips installed on the CoolDrug were created by the Dozer Garage team. Another important element I’d like to point your attention is the painting. I guess you no one will argue if I say that this is the only possible combination of colors for this particular project. I really can’t think of any other colors that could have been used here. 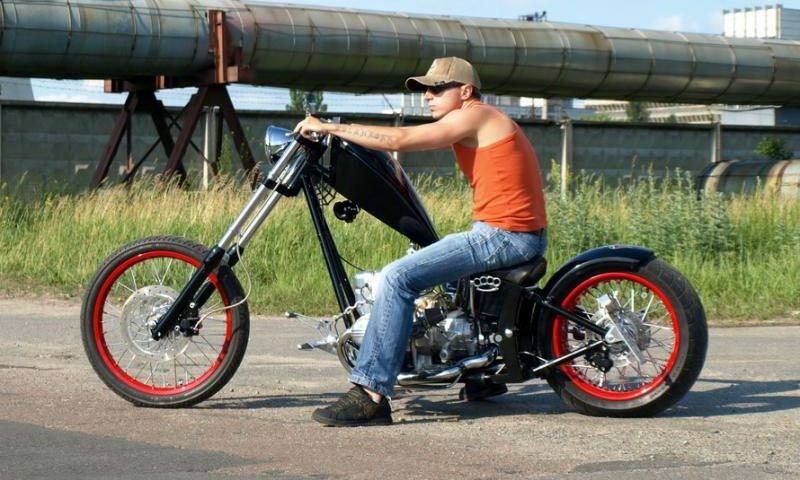 Well, the only thing I’d change if I was the owner of the bike is that I’d replace the yellow color on the seat – IMHO it doesn’t fit the general look of the chopper. 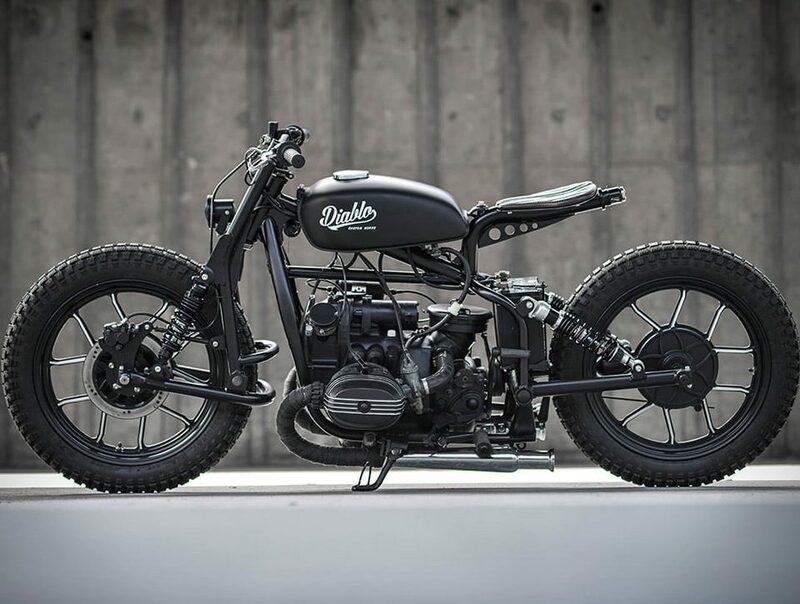 Overall, this custom Ural chopper is simple yet perfect 😉 I really hope you enjoyed it as much as I did. I'm just a guy who values 3 things in life: girls, bikes and freedom. I get them all with my custom-built Dnipro MT. 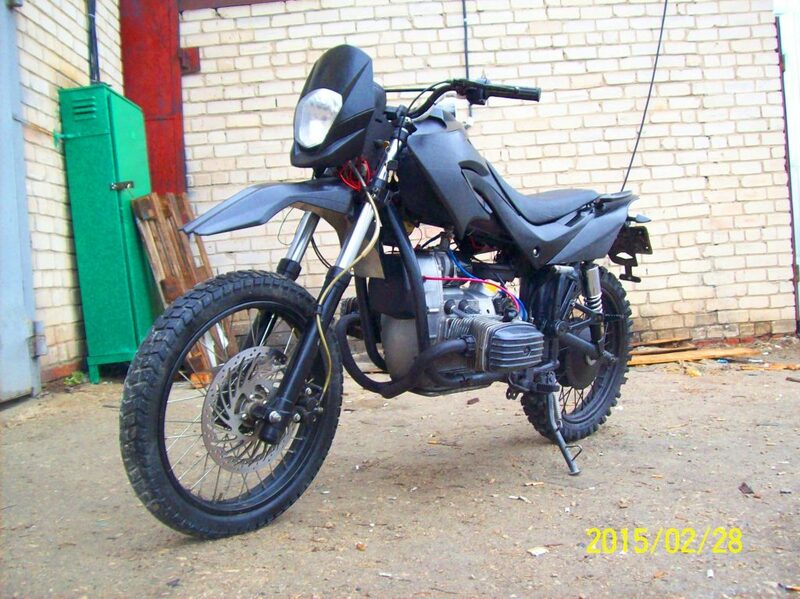 Cossack motorcycles are truly unique and reliable bikes if being treated right, and I decided to create this blog and share my vast experience and love for cossack bikes with other bikers all over the world. Need my help or advice? Contact me via skype or email. I'm not a native speaker, so there might be some mistakes in my posts. Please do let me know if you find any. Help me improve the quality of the website!